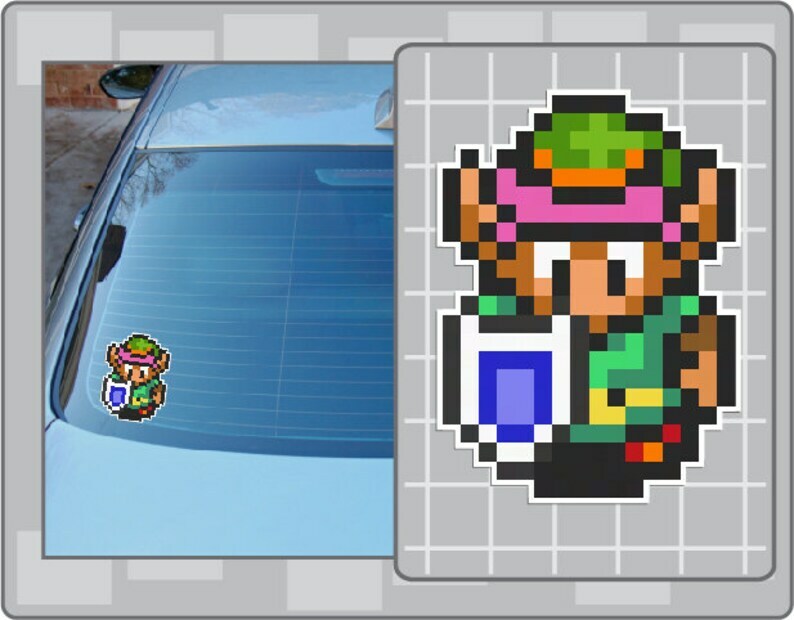 LINK from The Legend of Zelda: A Link to the Past vinyl decal sticker. Decal size measured by height for this decal. Item as described. Happy with it. Wish it came with a tool to smooth it out during application. great seller, quality stickers! not chintzy at all.